The 2019 MINI Countryman is officially classified as a 4-door wagon. It can also be considered a compact, crossover SUV. Most of the vehicles it will compete against fall under that category. MINIS are always in a class of their own though, especially on U.S. streets. They have an unmistakable British style to them. They offer something that's unique looking and fun to drive. Don't let that fool you into thinking they're not practical. The Countryman seats five passengers, offers great fuel economy and is reliable too. The 2019 MINI Countryman is part of the second generation of the vehicle. This generation first rolled off the assembly line in 2017. Since it's a new iteration, the exterior and interior styles haven't changed much. The available trim levels have been altered and updated for 2019. The standard and optional equipment choices have been changed around as well. Let's face it, looks plays a big part in the popularity of the MINI Cooper lines. The Countryman has a small body with a particular style that you will see throughout Europe. This is a very British car through and through. That makes it really stand out as unique on American roadways. The exterior style is both classy and sporty at the same time. Even though they have now been on U.S. streets for years, they still manage to turn heads wherever they go. All4, all-wheel-drive is now available for the 2019 MINI Countryman. This gives the Countryman some real off-road ability. That's extremely rare in vehicles of this small size. It also makes the Countryman a good driver on slick roads and in rough weather. It can handle anything winter throws at it. All4 all-wheel-drive also has positive effects on performance and acceleration. The system transfers power directly to the road more efficiently. Spacious isn't usually a word that comes to mind when you think of a MINI. They have always done a good job, however, of using interior space wisely. You never feel cramped in the driver's seat or front-passenger seat. The Countryman has the largest interior of any MINI in their current lineup. It may be the most spacious MINI interior of all time. All of your passengers will enjoy plenty of head and legroom. It can seat up to five people and still leaves a good deal of space for your cargo. There are a ton of trim levels and engine choices for the 2019 MINI Countryman. They range from practical and economical to those built for sports-car type performance. There's even a plugin hybrid for those who are concerned about fuel economy and the environment. The base engine is a 1.5-liter, 3-cylinder TurboPower Turbo. You can also opt for an inline, 3-cylinder engine; or a 2.0, 4-cylinder turbocharged model. For the best performance, you may want to select the John Cooper Works trim package. This gives you 228 hp and 258 lb-ft of torque at 1450 rpm. With this package, you can get up to 60 mph in 6.2 seconds. The small size, maneuverability and tight steering make any version of the Countryman a ton of fun to drive. This little car feels downright sporty. It gets even better when you upgrade to the 2.0, 4-cylinder, turbocharged engine. For the most fun, the Cooper S ALL4 and JCW All4 trims would be right at home on a racetrack. For more practical purposes, they're also easy to zip around town in, and it's always easy to parallel park a MINI. MINI Coopers have a long history of being high-quality, reliable vehicles. There's no reason to expect anything less from the 2019 MINI Countryman. Though ratings ans data are sparse for the latest model, it's based on the same platform that's been in use since 2017. Since then, MINI Countryman vehicles have a proven track record of dependability. They've also proven to be safe. The The Insurance Institute of Highway Safety gives them a "Good," rating in all of their test categories. The MINI Countryman has an Active Driving Assistant system that is camera based. It includes automatic, emergency braking and a forward-collision warning. Sensors monitor the location and severity of a crash to decide which airbags to deploy. The manufacturer uses a rigid, strong frame for the MINI Countryman. This helps to negate the heavy-impact forces of a wreck to keep you and your passengers safe. A parking-assist system rounds out some of the more notable safety features. The 2019 MINI Countryman gives you a lot of options to play around with. It all starts with the six different trim packages. 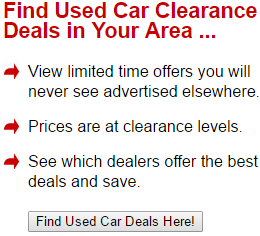 These provide a wide array of engine and transmission-system choices. You can opt for RWD or the off-road friendly All4, AWD. There are a high number of interior choices to be made when it comes to the upholstery, luxury features and more. The MINI Countryman also comes in over 10 different colors. You can get a build that should please just about anyone. The sound system and speakers sound great inside of the MINI Countryman. Everything can be controlled on the console's touchscreen or by remote. Many features can be activated via voice commands so you can safely keep your hands on that steering wheel. There are a couple of USB ports and Apple's CarPlay connectivity is available. A navigation system is on tap to get you to your destinations. 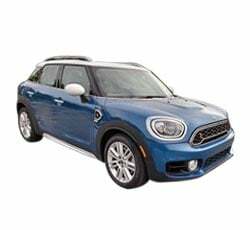 The 2019 MINI Countryman offers good fuel economy no matter what trim level you choose. The base, 3-cylinder engine will get between 26 to 28 mpg with the manual transmission system. You should get 25 to 27 mpg in an automatic. Even the 4-cylinders fare well, getting a combined rating of around 26 mpg. If saving money at the pump is your prime concern, you may want to select the hybrid. This will get you up to 65 mpg when you also have a full charge. The size of a MINI Countryman can be a blessing or a curse. 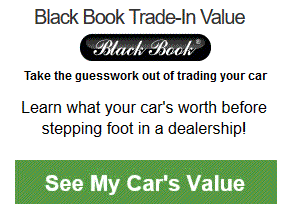 It really depends on what you're looking for in a vehicle. This size is simply not going to be for everyone. If, however, you're already looking at MINIs, you probably already know they come in a small package. The 2019 MINI Countryman will require premium fuel no matter what engine choice you go with. Whether it's the 3-cyliner, 4-cylinder or the hybrid, it will cost a bit more at the pumps. This is somewhat negated by the overall great fuel economy that the Countryman gets. The 3-cylinder engine is okay, but it can feel a bit sluggish at times. If this is a concern for you, you can always opt for the 2.0 liter, 4-cylinder. With the right package, the MINI Countryman has downright impressive acceleration and passing ability. Just don't expect it from the base engine on the lowest trim level. The 2019 MINI Countryman is something unique on the road. As such, it's difficult to ascertain what the top competitors will be for such a vehicle. We will begin by comparing it to one of the top-selling, compact crossovers on the market, the Ford Escape. The Escape is a solid car with good performance at a decent price. They both have comparable fuel-economy ratings with their gasoline engines. The MINI wins if you consider the hybrid model. The MINI Countryman also wins out in overall performance and looks. Next up is the BMW X1. The BMW provides a little bit more interior space, especially in the rear seats. Once again, the fuel-economy ratings are so close as to be negligible when making a decision between the two vehicles. The hybrid Countrymen will get you more miles when full of gas and fully charged. Performance is pretty similar between these two as well. The Countryman wins out if you want to stand out from among the pack. Few vehicles can compete with the cool exterior of a MINI. Perhaps the best comparison can be done against one of the MINI's other offerings. In many ways, the MINI Countryman will be competing directly with the MINI Clubman. Both vehicles fall under a similar price range. Both have that classic, British style. They can even both be had in a John Cooper Works model if you want top of the line performance. The Countryman wins out if you need more interior space. It offers the best of other MINI vehicles but with just a bit more room and some extra luxury features too. The 2019 MINI Countryman is something truly unique for the American consumer to consider. It has a lot of practical value as it is affordably priced. It can even haul five passengers and a good amount of cargo for such a small car. Perhaps best of all, it's easy on the pocketbook when you're at the pumps. But this is much more than a practical, crossover SUV for a family. It accelerates and handles like a sports car, while the exterior design oozes with European style and class.